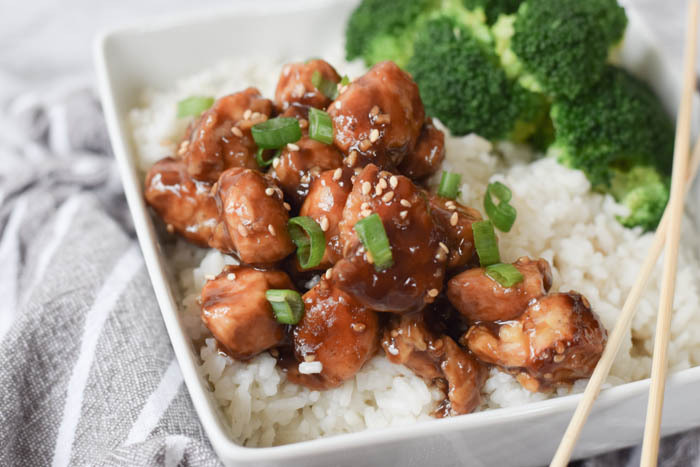 This Sesame Chicken recipe is so flavorful and delicious, you'll want to add it to your meal plans. 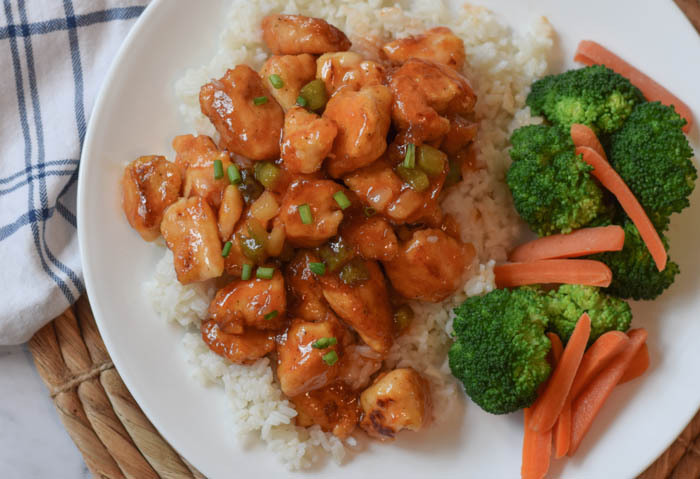 It's one of those take-out favorite meals, that can be made right at home. 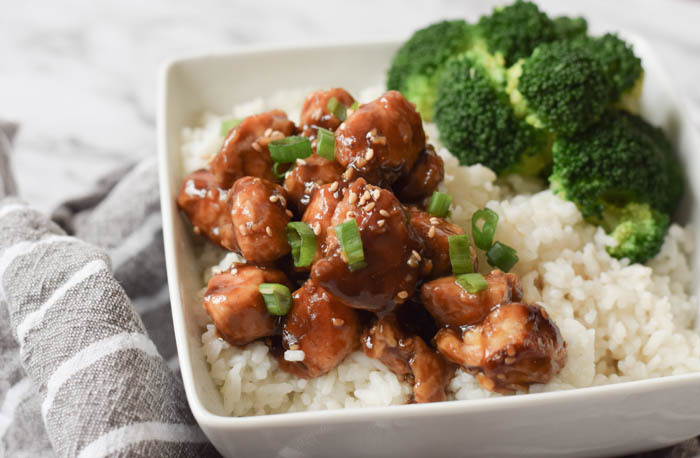 Pair with some vegetables and steamed rice or quinoa and you'll have a simple, complete, and tasty meal, that is budget friendly as well. 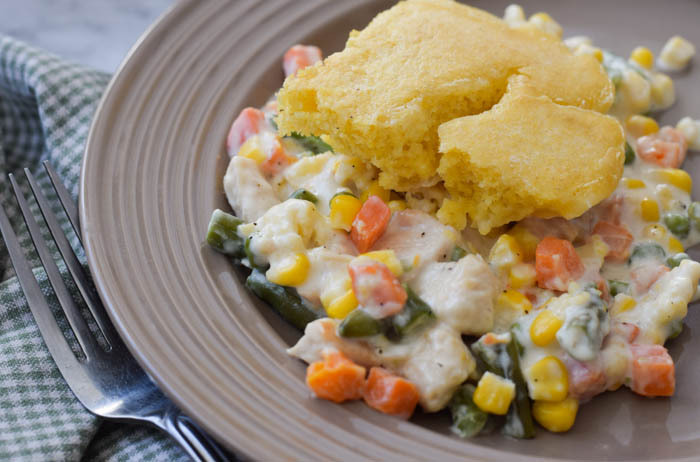 You'll love adding this easy recipe to your weekly meal plans. 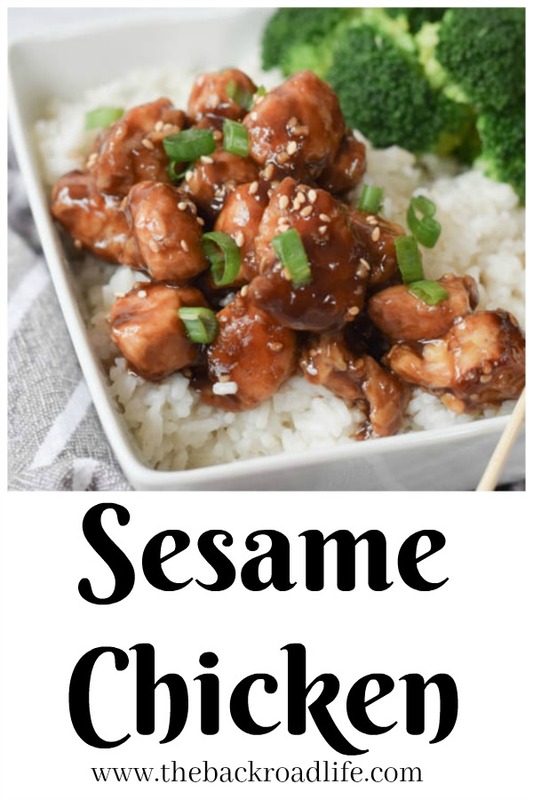 This Sesame Chicken starts with pieces of chicken, I generally use chicken tenderloins or breasts and cut into bite size pieces. The pieces are then simply coated with eggs and cornstarch/flour, then fried to crispy perfection and golden brown. After the chicken is done, it is tossed in the delightful sesame sauce to create our dish and ready to serve. 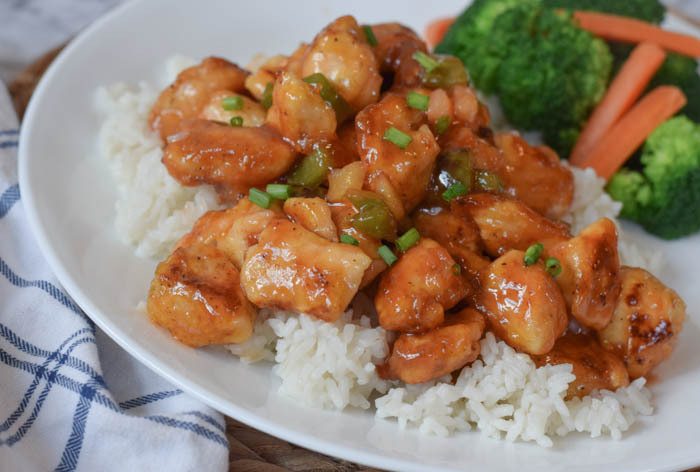 For best dish results, you'll want to serve the chicken immediately, as the crispy coating will start to soften after it has been coated in the sauce. 1 lb boneless chicken, tenderloin or breast, cut into 1 inch pieces. 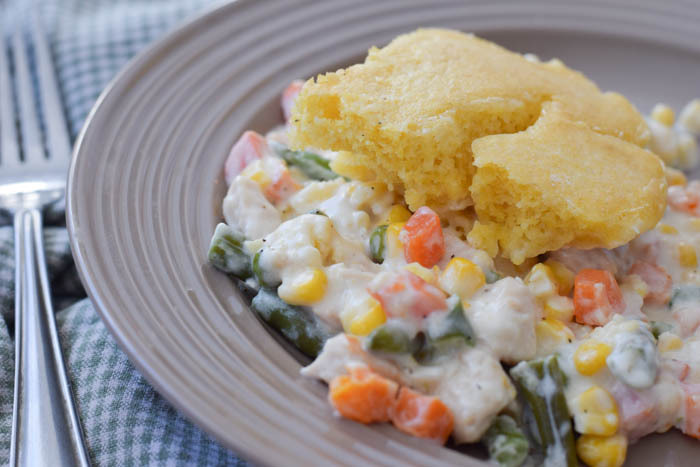 Serve over steamed rice and with vegetables if desired. 1. In a small bowl, add the egg, and pepper and stir to combine. 3. Dip each piece of chicken into the egg mixture, then roll into the flour mixture. Repeat with all the chicken pieces so they are all coated. 4. In a pan, heat the olive oil. 5. Add the coated chicken pieces to the pan. Cook until each piece is crispy and golden brown, for 5 minutes or so. 7. While the chicken is cooking, make the sauce. Add all the sauce ingredients to a medium mixing bowl. Whisk in the corn starch until the mixture is well combined. 8. 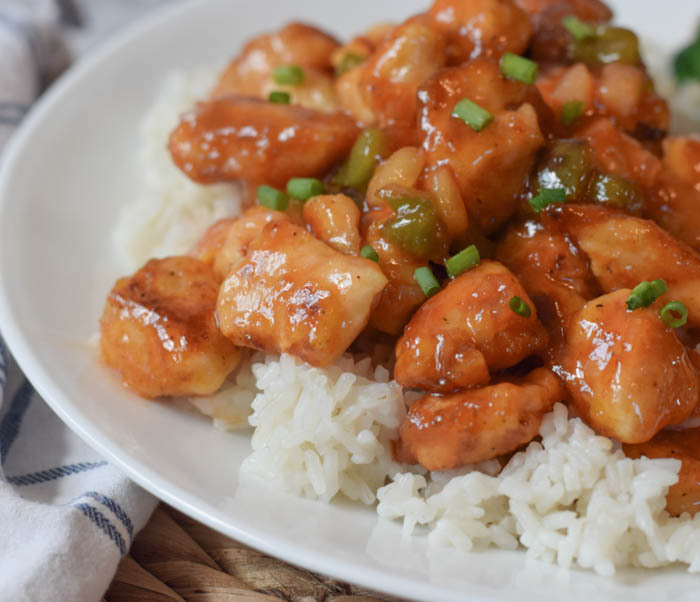 Place the crispy chicken back into the pan and pour the sauce over top in the pan. Bring the mixture in the pan to a quick boil, and then simmer for 3 to 4 minute or until the sauce has just thickened. 9. 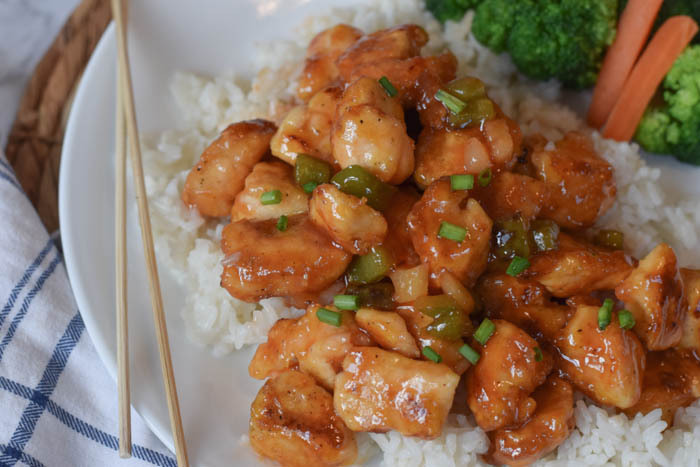 Served the sesame chicken over steamed rice with your favorite vegetables. 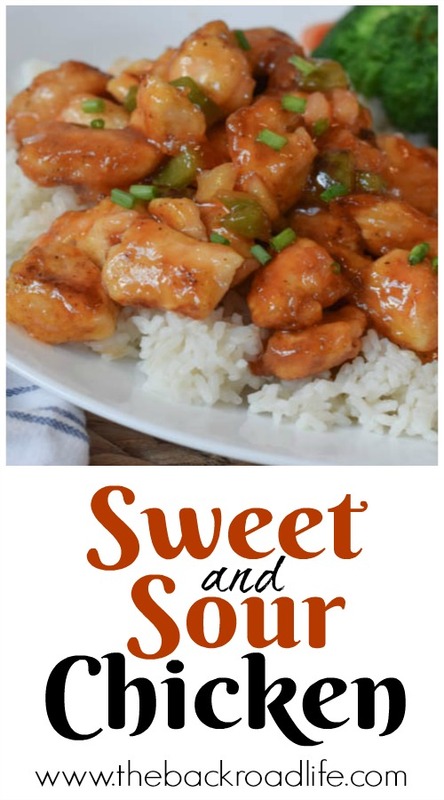 Sprinkle with sesame seeds and green onions and serve. 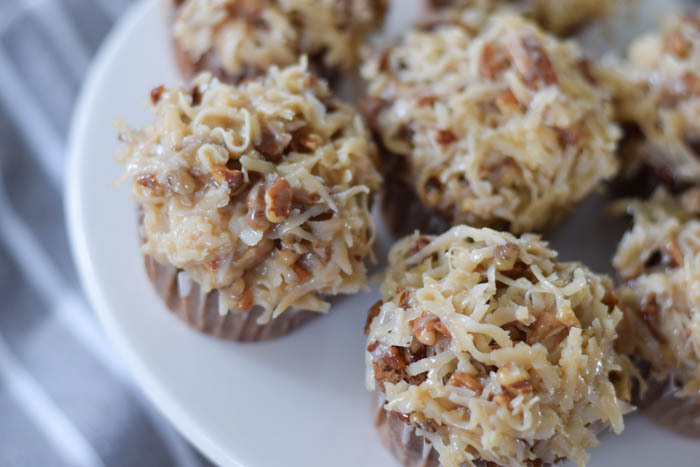 Are you looking for a fun and super flavorful dessert for Valentine's Day? 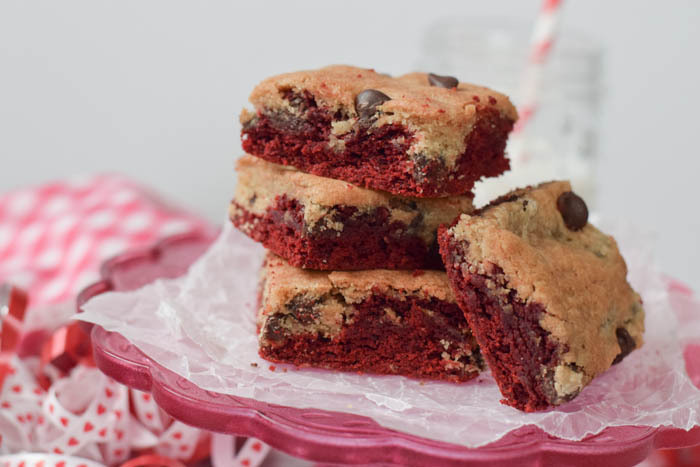 Give these Red Velvet Brookies a try! They are delicious! 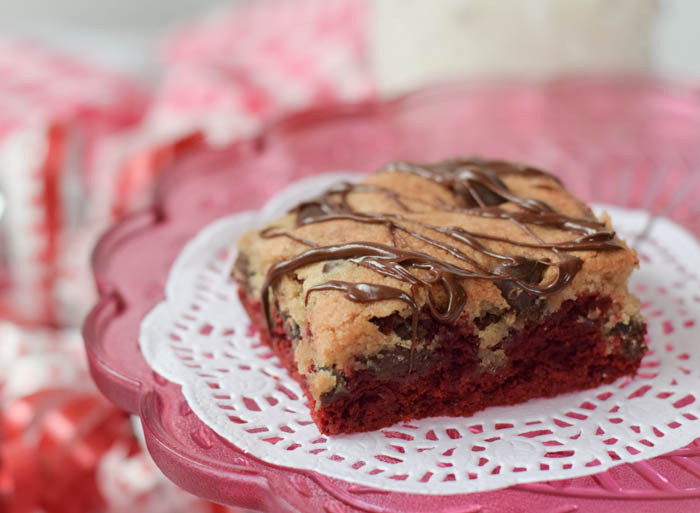 You can't go wrong with red velvet and chocolate chip cookie dough. 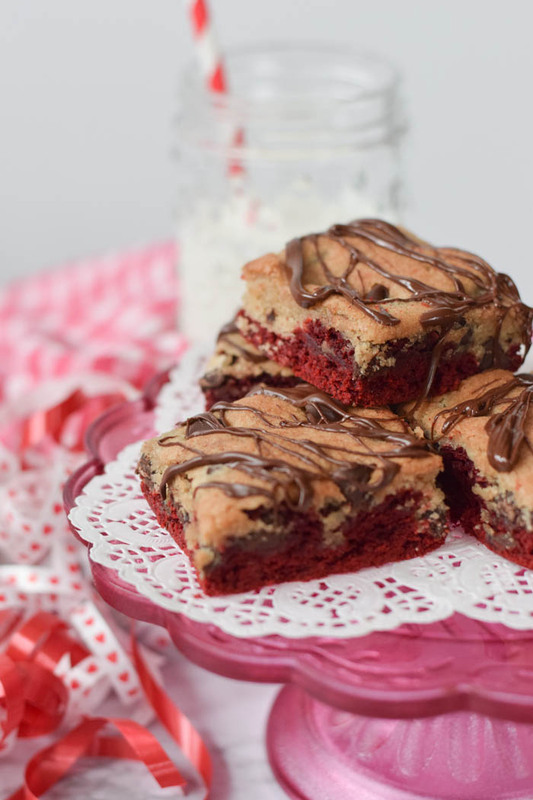 Red Velvet Brookies are such a fun treat for Valentine's Day bringing a fun twist to some ever favorite desserts. A cookie and a brownie in one, creating a Brookie, the best of both worlds! Although, it's not quite Valentine's day yet, but it's that time of year when all things pink and red start popping up in all kinds of stores and online right after Christmas. 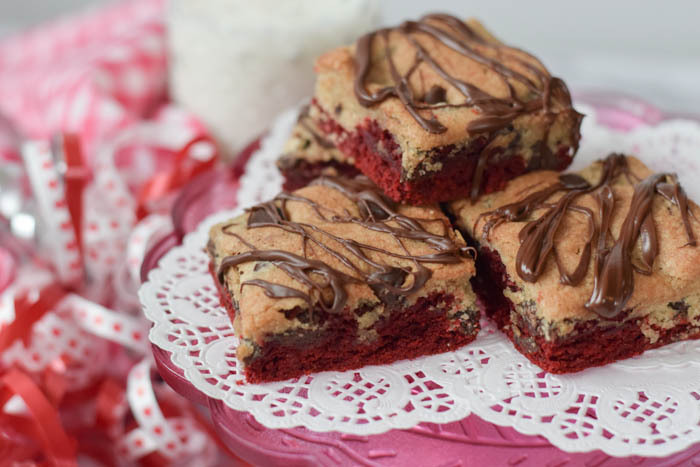 Some things I think about when it comes to Valentine's Day is chocolate, sweets, and the color red. 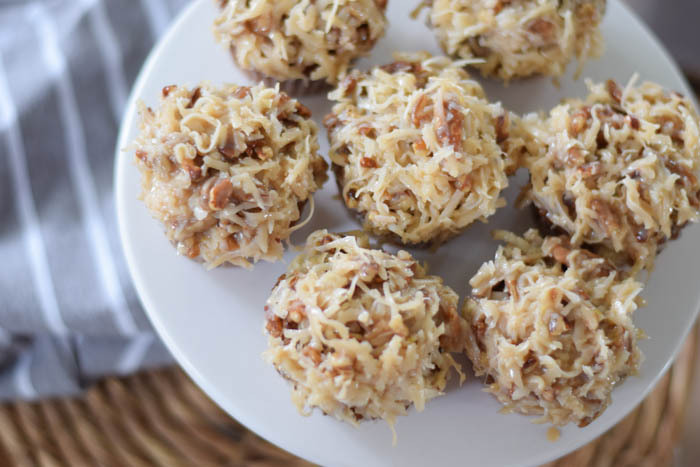 This sweet treat ties them all together and is packed full of flavors. 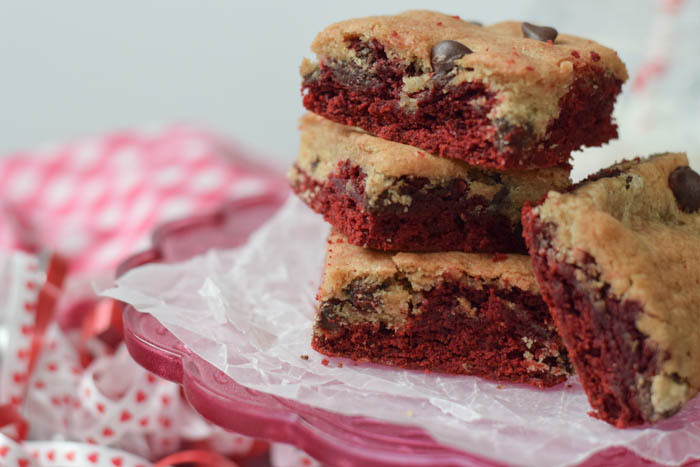 This dessert is deliciously comforting just like red velvet brownie and chocolate chip cookies should be. 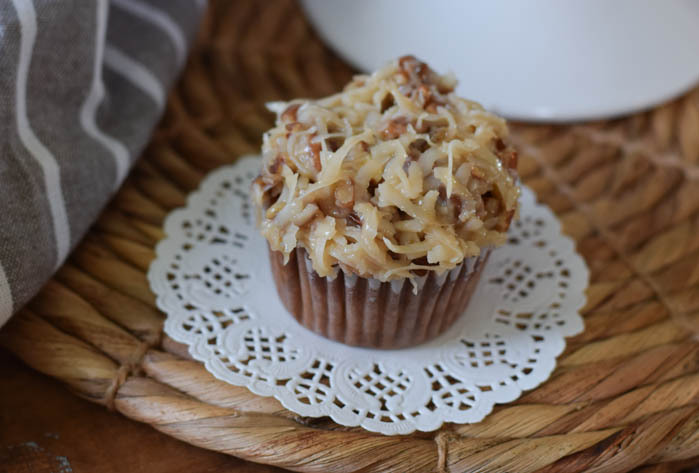 This recipe features the new Bailey's Original Irish Cream Baking Chips and adding mouth watering flavors of Bailey's Original Irish Cream. 1. Line a 9 x 13 with parchment paper or grease it well and set aside. 2. In a large bowl, mix together the red velvet cake mix, vegetable oil, milk, and egg until well blended. A smooth, thick batter forms. 3. Spread the batter in the parchment lined/greased baking dish. The batter is thick and sticky, it was helpful to spray the spoon used to spread the batter in the dish. Set aside. 4. 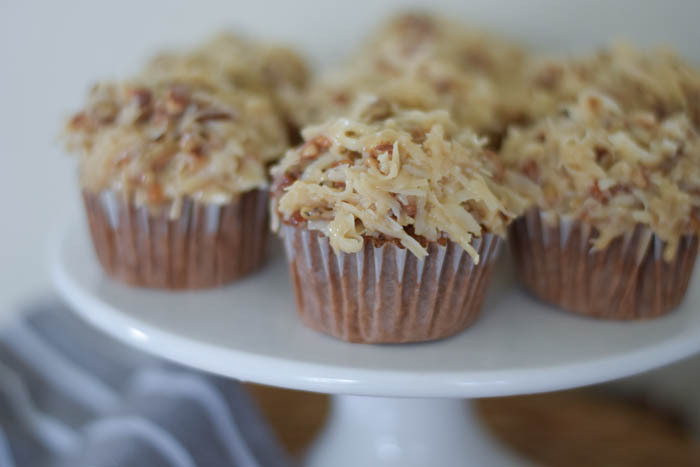 Using a stand mixer, beat together the butter, sugar, and brown sugar together until nicely smooth and creamy. 5. Add in the egg and continue to mix. 6. Add in the Clabber Girl Baking Soda, Clabber Girl Baking Powder, vanilla, and salt and mix well. 7. Add the flour and mix until the dough forms. 8. Add the Bailey's Original Irish Cream Baking Chips and mix in gently with a wooden spoon. 9. Add small spoonfuls of the cookie dough on top of the brownie batter in the baking pan. Gently spread out until the brownie batter is completely covered to create the top later of the brookies. 10. Bake at 350 degrees F for 35 to 40 minutes, until lightly browned on top and toothpick comes out clean. 11. Let cool for 15 minutes until cutting and serving. Cut into small square bars. 12. For extra chocolate goodness, place 1/2 cup of Bailey's Original Irish Cream Baking Chips in a glass dish and melt in the microwave for 30 seconds at a time, stirring in between until melted. Using a fork, drizzle over the Brookie squares. 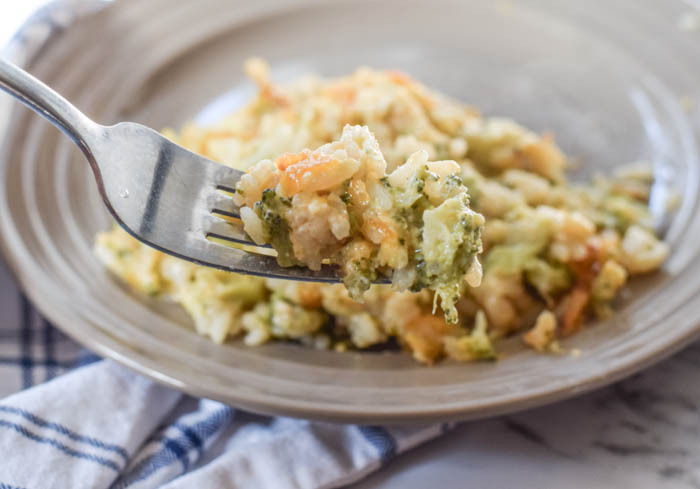 You can't go wrong with this Broccoli Cheddar Casserole! 1. 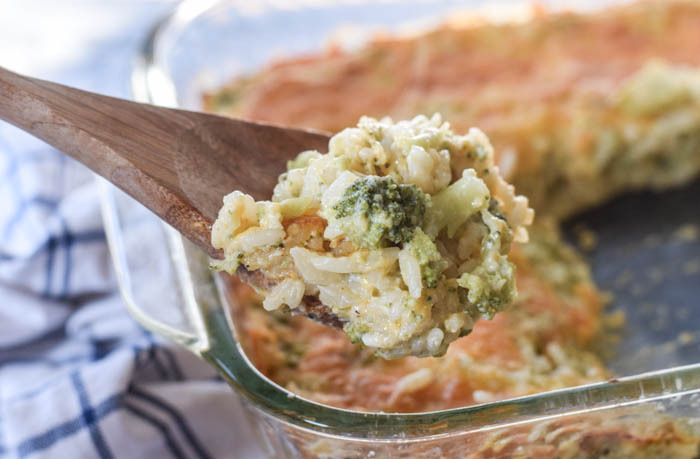 Chop the frozen broccoli into bite size pieces, it will thaw out some with handling during the casserole preparation. 2. 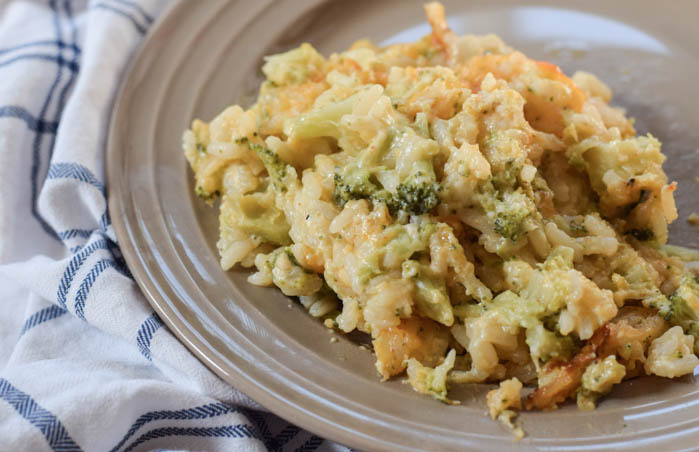 Add the broccoli pieces, the cooked white rice, and about 3/4 of the shredded sharp cheddar to a medium mixing bowl. Set the remaining cheese aside to use later. Stir it together until evenly blended together. Set aside. 3. In a small pan, to make the sauce, add the diced yellow onion, the minced garlic, and the butter. Cook on medium heat until the butter is melted and the onions become translucent. 4. Add the milk and corn starch and whisk together continuously until sauce mixture comes to a boil. Remove from heat. Sauce mixture will thicken. 5. Add the salt, paprika, and pepper to the sauce mixture and stir together until well mixed in. 6. Add the sauce mixture to the broccoli mixture and mix together until coated well with the sauce mixture. 7. Pour the casserole ingredients in to a well greased 9 x 13 pan. Then add the remaining cheese over top of the casserole. 8. Bake at 350 degrees F for 35 to 40 minutes. 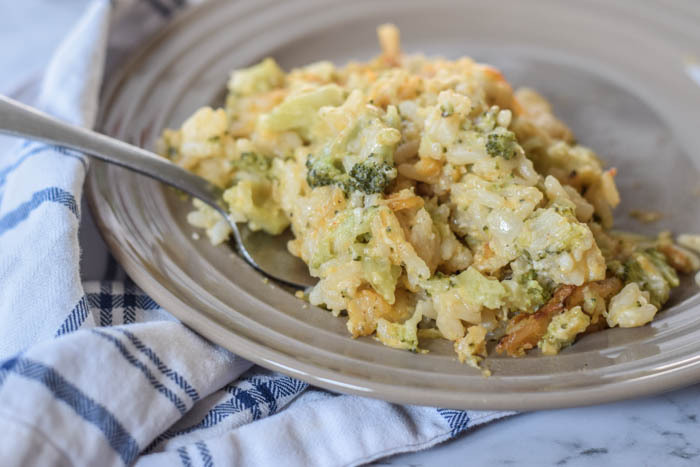 Are you looking for a simple side dish that is flavorful and able to feed a crowd? 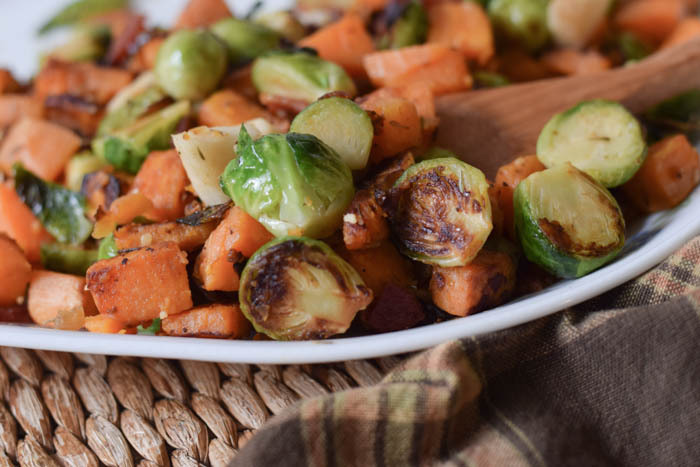 This Sweet Potatoes and Brussels Sprouts dish is packed full of flavor. 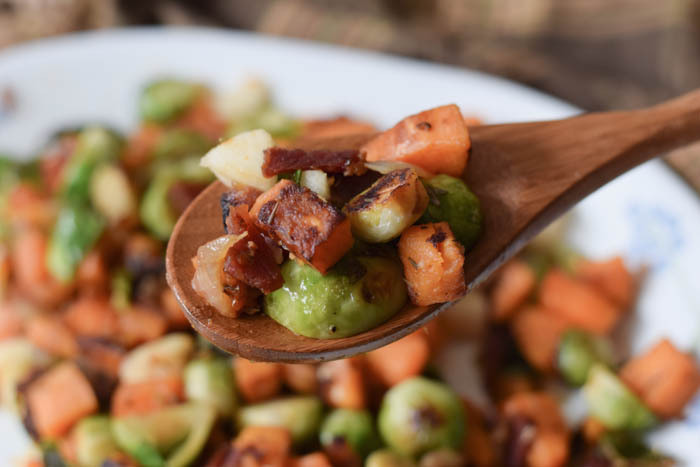 Brussels sprouts, sweet potatoes, bacon, a hint of apple, and thyme come together so nicely in this delicious and savory side dish. This dish is everything you're craving for the fall season, or anytime really. The garden changes so many times throughout the growing season. Fall is one of my favorite times to harvest some of the finest vegetables from the garden. 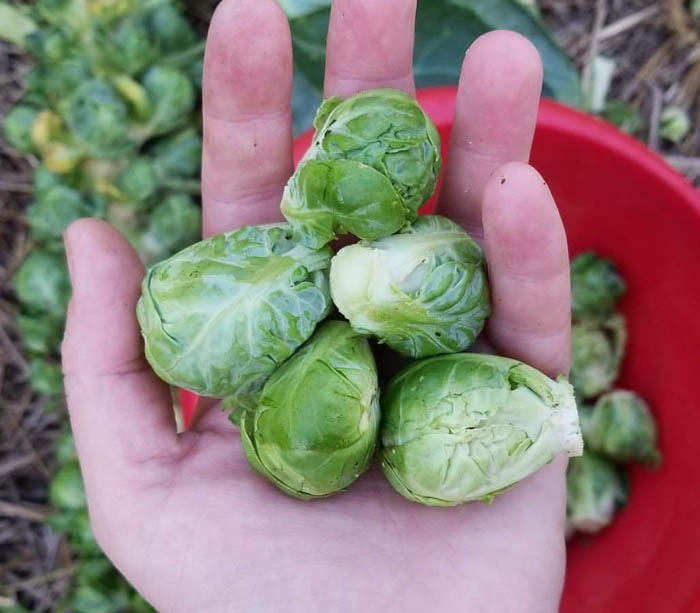 Sweet potatoes and brussels sprouts grow all season long and it's so rewarding to harvest them in the fall. 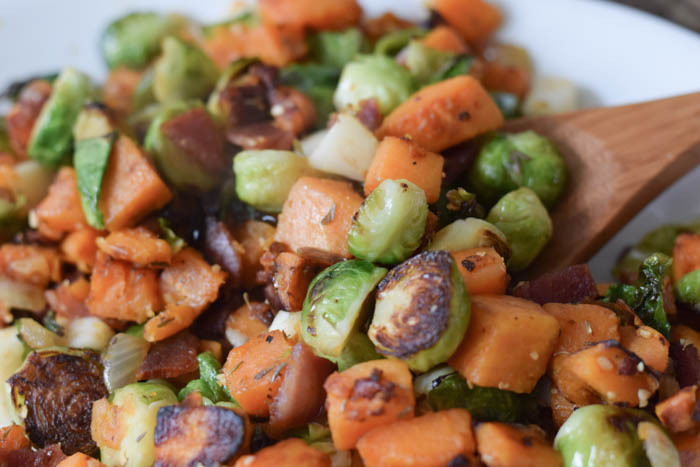 This Harvest Hash, Sweet Potatoes and Brussels Sprouts recipe is super easy to prepare and make. 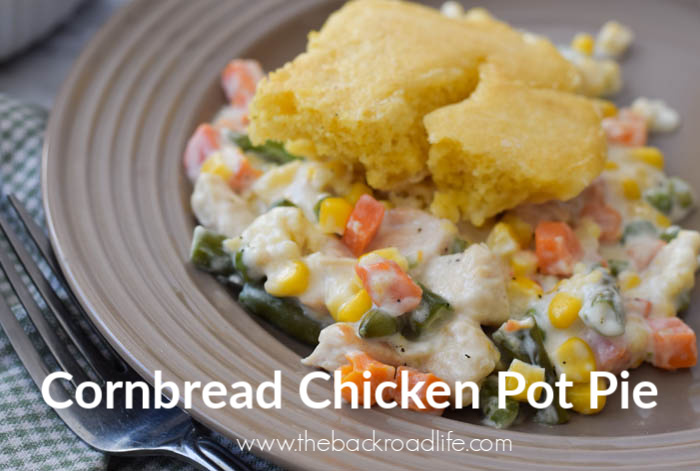 It makes for a great side dish for any meal, as well as can feed a crowd your next holiday gathering. A colorful dish loaded with flavor that is sure to impress. 1. Cook the bacon in a skillet over medium heat until it is crisp and browned. Transfer bacon to a paper towel lined plate to cool, set aside. 2. Using a large sauce pan, heat the olive oil over medium heat. 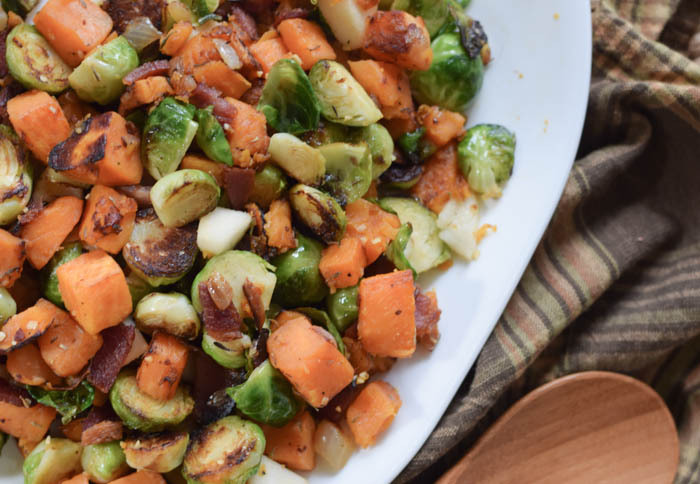 Add the sweet potatoes, brussels sprouts, and onion. Cook until crisp-tender, stirring occasionally, about 10 minutes or until the sweet potatoes are tender with a fork, and onion is looking translucent. 3. Stir in apples, thyme, garlic, and cook for about a minute more. 4. Add in the reserved crumbled bacon pieces and stir in all together. Serve warm.